As you might know, the European Union includes, at the moment, 28 countries and speaks more than 36 different languages. 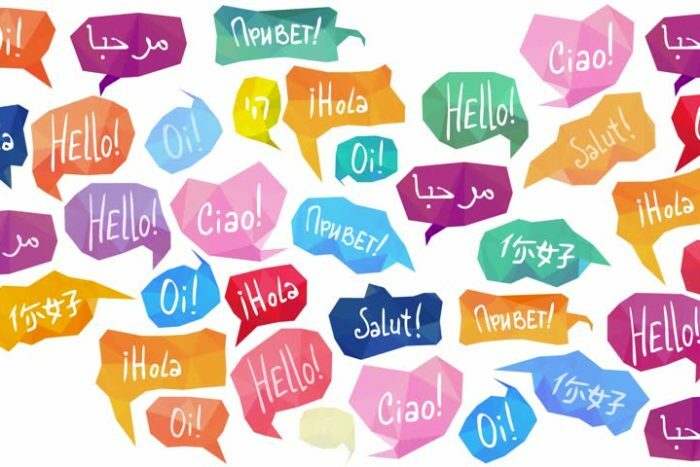 How we understand each other is a mystery for many other regions of the world, as the official languages of this economically and politically united area are more than diverse. Even if English is widely used and adopted over the territory, especially in the business and academic environments, some countries might be more reluctant than others to be de facto fluent English speakers. This cultural singularity applies to sourcing as a lot of candidates will keep their social media profiles and CVs in their native language. When preparing for a briefing call, it’s essential to have already considered this fact. The fluency in any of the local languages might not be a requirement for the vacancy to be filled, but even if the hiring manager isn’t asking for other languages, this doesn’t have to lead us to think that including them won’t be useful for us during our search. Take into consideration my motherland: Spain. Nationwide the main language is Spanish (Castillian). However Catalan, Galician and Basque are also official languages widely used in some areas of the country. These will have a considerable part of the people living in these specific regions using them online. From one job title you will have to consider four different keywords, five if you are adding English, (what I would also often recommend, at least to check if it adds or not to your search). This leads to 5.45M results vs. 4.71M using only “Engineer” as the only job title keyword. So, unless you are a hyperpolyglot like Ziad Fadh, able to be fluent in more than 50 languages, it seems that you are going to need some help. Where to get started? Often I use Google Translator, but as you might have experienced, it doesn’t always provide the more accurate results. It’s easy and fast, but when using it, the best thing is to verify if the translation provided it’s used somewhere else, pertinent and related to what we are looking for to avoid false positives and weird, confusing results. One of my favorite translation websites is Linguee. Why? Because it takes examples from specific websites comparing them in your target language. This will include some sentences to double-check if it’s the right context. Its limitation might be that a specific keyword might not be included in their results. For me, the best online dictionary. Also includes a forum with discussions about translations, where natives are proposing the best way of using a word in a specific context. Unfortunately not available everywhere, if your target country has it available, it’s an excellent source to learn about job titles in the local language. Click on the link for sales job titles in France. Of course, if you happen to know native speakers of any of the target languages in your team or elsewhere don’t hesitate, be social and ask them to check if you are in the right path. To end here, please consider this as an interesting final thought: If you are using an AI sourcing/aggregator tool, unless it isn’t recognizing different languages, you might be paying for an incomplete view of the landscape when searching. If you often recruit European roles, ask your vendor which languages are indexed. I hope that you have learned something new today, please discuss in the comments below. Iker has been recently awarded the Sosueu Hackathon winner title and the AirSource Sourcing Competition. He is also one of the two European top ten finalists for the SourceCon Grandmaster Challenge. Before that, as a young professional, he managed the internal recruitment for the first branch in France of Spanish construction and transport SME between 2012 and 2014, in addition to being in charge of HR, Operations and Account Management. During that experience, it’s when he decided to specialize in recruitment, trying as a Freelance while relocating to the United Kingdom and joining Hudson RPO in 2014. For two years, he was one of the senior members of the EMEA Center of Excellence, working for a variety of global corporate firms, leading different recruitment teams and projects in the retail, FMCG, finance, IT, manufacturing and pharmaceutical industries. More recently, he moved to Solutions Driven, a recruitment agency headquartered in Glasgow, working in exclusive assignments with global outreach. As part of his role leading the sourcing function for the business, he has to stay ahead of any new tools and methods, guiding the team to be best-in-class, while polishing an already well-established sourcing culture and process.